There are new rumors about The Flash movie’s potential new director. The man behind Rogue One is already kicking around another idea for a Star Wars Story movie. Steven Moffat discusses Doctor Who taking on some challenging material this season. Plus, new looks at The Mummy and King Arthur. To me, my spoilers! My plan is to see more of [Stallone’s character], I’m not sure about him appearing in Vol. 3, we’ll have to see about that, but it’s our plan to see more of Stallone. Kevin [Feige] and I are working on what is going to become of the Marvel Cosmic Universe and where it’s going to go. We plan to see the rest of them in the future. I’m helping to decide what projects we’ll be pursuing outside of Guardians of the Galaxy Vol. 3 and what the next cosmic characters we will focus on. It’s my plan to have Sly — and I talked to him last night — to find a place for him in the future of the Marvel Universe. That makes sense, given a recent press conference discussed the fact that Stallone’s role in the movie as Stakar—in Vol. 2 as a Ravager leader, but in the comics, better known as Starhawk, a member of the original 31st century Guardians of the Galaxy team—leads to him eventually reteaming with his classic teammates for the promise of new adventures (and loot). 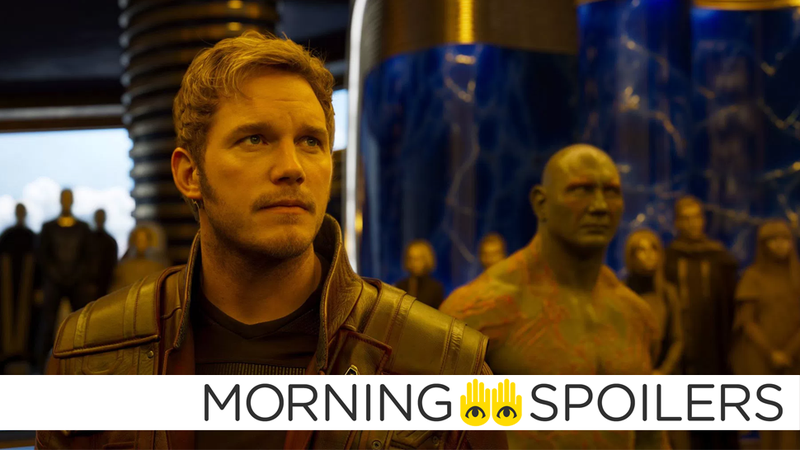 Meanwhile, Vin Diesel says they’re saving the “full-fledged working man” Groot for a future movie. The first Groot we saw was a freshman in college. This [Guardians of the Galaxy Vol. 2] Groot is in nursery school. 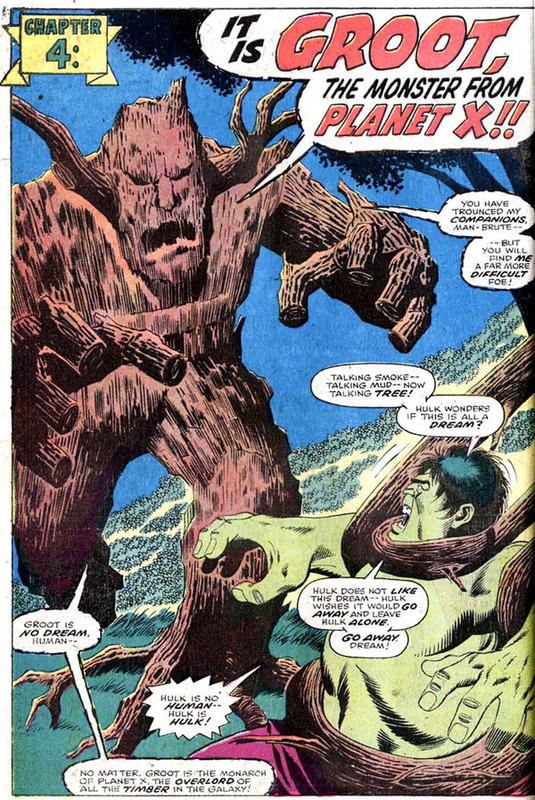 Wait ’til we see the full-fledged working-man Groot. 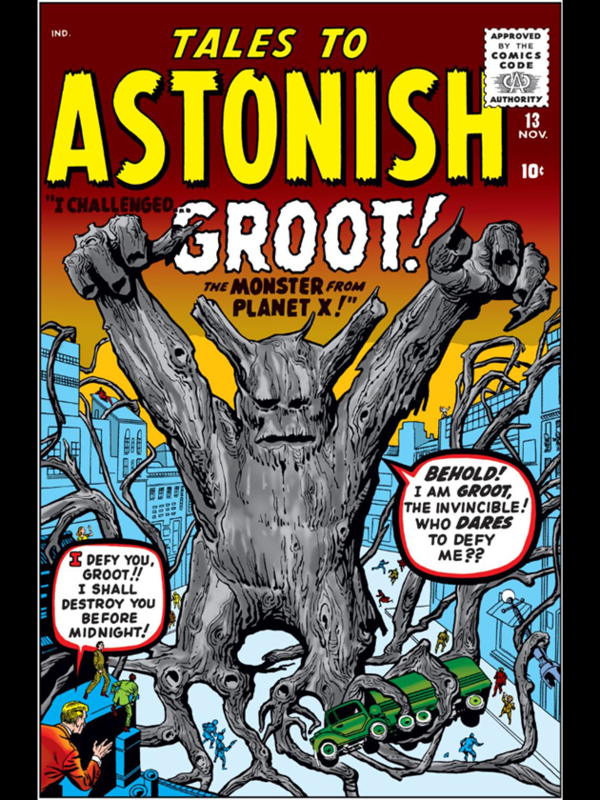 Wait ’til we see GROOT! Entertainment reporter Umberto Gonzalez confirms Robert Zemeckis has had a meeting with DC about directing The Flash movie, but has not signed on—despite recent rumors to the contrary by Screenjunkies. I’m an Egyptian princess who is promised to become Pharaoh, and is deceived by her father. He removes that promise from her because he has a child, and the child is a son. Having nothing to lose, she summons the wrong god, in order to get what she wanted, that power that will give her what she was promised. She’s put aside for a very long time because she became dangerous. In modern times, she comes back, to go after what she was promised to receive, to begin with. Syfy Wire also shared this new featurette with the cast and crew. At a Guardians of the Galaxy Vol. 2 press junket, Kevin Feige teased another possible cameo from Howard the Duck. You know, the fun thing about Howard is he shows up where you least expect him, so like who knows where he’s going to appear next? Jason Momoa shared a new set photo with Temuera Morrison, a.k.a. Aquaman’s dad, Thomas Curry. Stan Lee has filmed a new scene with Tom Holland and DJ Khaled, presumably for use in the movie. No, I never expected to have to type that sentence either, frankly. John Knoll—who of course kicked off the idea that led to Rogue One—says he’s got another potential idea for a Star Wars spinoff. I have another idea I’ve been tinkering with. It’s maybe 75 percent there. I haven’t pitched it to [Lucasfilm president Kathleen Kennedy]. It’s another Star Wars thing…There’s no reason to think Disney is going to stop wanting to make Star Wars movies if there’s quality and there’s interest. It has unlimited potential. It has a huge number of characters, worlds … It’s a massive playground. Here are a few more TV spots, showcasing the film’s soaking wet undead slush pirates. Coming Soon has the new poster for Dimension’s haunted polaroid camera movie. Stephen Moffat told TV Guide that Doctor Who will address race this season—presumably in this weekend’s upcoming “Thin Ice,” which sees Bill and the Doctor go back to Regency-era London. History is always white -washed. How do we manage to have a diverse cast despite that? The way that we did it was ... [to just] say that you will see people of different colors there. In fact, there were. People all didn’t arrive in the twinkle of an eye. It is bending history slightly, but in a progressive and useful way. Also, it wouldn’t be a pleasant place for [Bill] in several respects. Taking that on is just respectful of the audience really. It’s a chance to — I’m always reluctant to sound so pious and so do-gooding and all of that. It’s useful that these things are talked about. The evil in Doctor Who can sometimes be the evil in our real world, too. Syfy has dumped synopses for the three episodes airing on “night two” of their season three binge session. Episode 3.05 - Casualty - Out of time and in need of answers, Jennifer and Deacon are sent to 1989 to steal the a sacred document. Can Railly and Cole get to the Word first before it reveals the one secret they want kept? Episode 3.06 - Nature - In 1953, Cole and Railly reunite with Agent Gale at the birth of the Army of the 12 Monkeys. Special guest star Christopher Lloyd appears as the father of an iconic enemy. Episode 3.07 - Nurture - Cole and Railly find themselves at opposite ends of an unspeakable decision. Jones grows suspicious while Railly turns to an emotional ally for advice. All hell breaks loose during a massive fire-fight. Black Siren (guest star Katie Cassidy) returns to help Chase (Josh Segarra). Felicity (Emily Bett Rickards) organizes a birthday party for Oliver (Stephen Amell) while Lance (Paul Blackthorne) is furious after Rene (Rick Gonzalez) misses the custody hearing for his daughter. Finally, here’s a new viral video promoting season four.